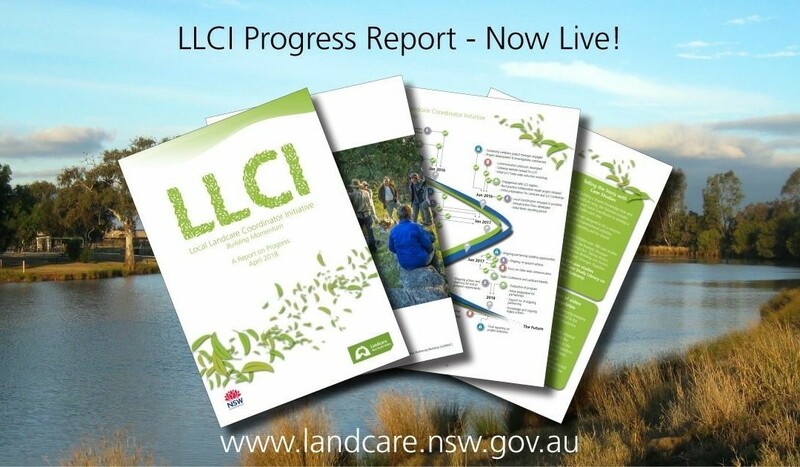 A recently-completed Progress Report shows the NSW Local Landcare Coordinator Initiative (LLCI) is achieving results and helping to build momentum across the State. The report highlights the positive difference Landcare is making with the support of the NSW Government and Local Land Services. Landcare NSW Chair, Rob Dulhunty says the report clearly shows the value of a supported Landcare community. “This report shows what can be achieved when Landcare is supported and how government investment in Landcare creates value. As a result of the LLCI we have seen Landcare groups revitalised, partnerships created and funds leveraged. Morale has improved, groups have gained new skills and accessed new resources. Most importantly we are seeing real change on the ground. “Landcarers willingly give their labour, time and expertise to manage our natural resources. Supportive government policy and funding will ensure Landcare continues to help meet the challenges we must face to better manage and protect our natural resources,” said Mr Dulhunty. The LLCI is a $15 million, four year project to renew the Government/Landcare community relationship by investing in and unlocking the potential of the thousands of volunteers of the Landcare movement in NSW.